A few years ago we found the most beautiful dragonfly emerging from our pond, it had shed it’s nymph shell and was pumping out it’s wings, drying them in the sun. Eventually it flew off leaving it’s empty nymph skin which I collected and took into school for the children to see. 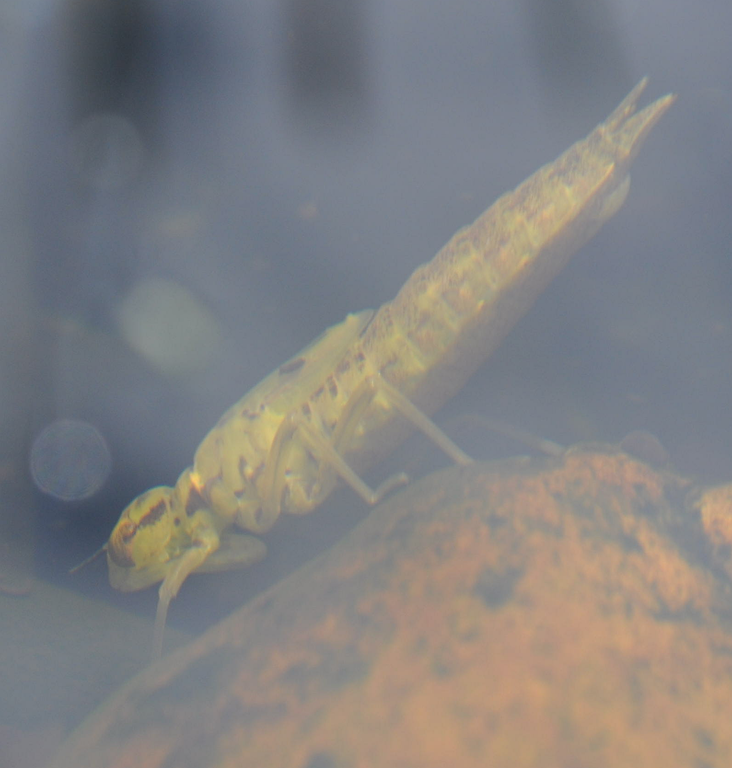 Since then I have been keeping my eyes open and despite seeing the occasional dragonfly in the garden I haven’t seen any evidence in the pond … until today when I spotted a nymph on a stone in the pond. I nipped indoors for my camera and after dangling precariously over the pond’s surface I managed to take several photos before it disappeared into the depths. This is the best of the bunch.